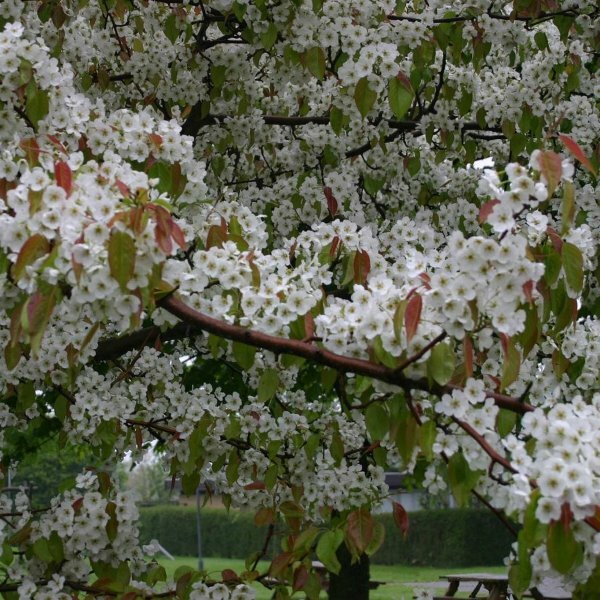 A well known medium-sized tree that flowers very early in spring and has bright autumn leaf colour that is held well on the branches. 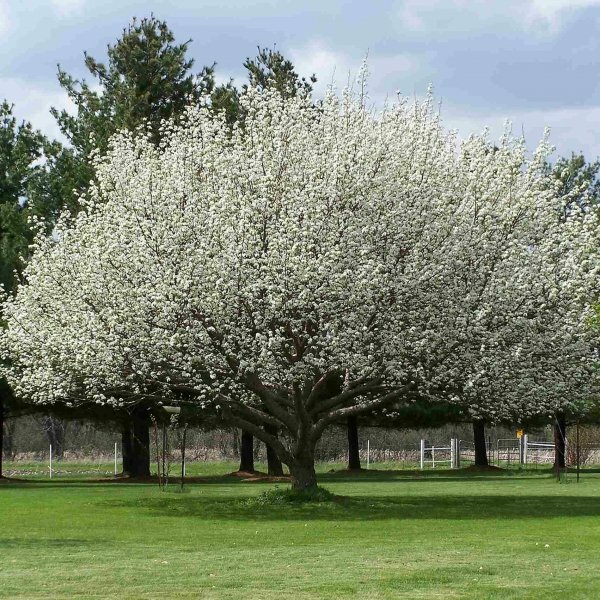 Pyrus ussuriensis is suitable for many landscapes, including parks and large gardens. Habit: Dense, rounded. Pyramidal when young. 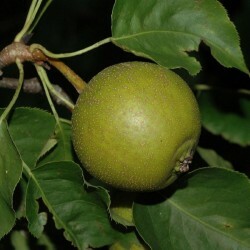 Foliage: Glossy, dark green rounded leaves turning to varying autumn tones of plum-red, scarlet and gold. Foliage is held on the tree well into late autumn. 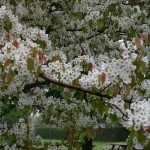 Flowers: White flowers to 3 cm across in early spring are pale pink in bud. One of the first ornamental pears to flower in spring. Fruit: Edible, greenish-yellow, globose pomes up to 3 cm in diameter. Bark: The young branches are purplish-brown. Tolerances: Adaptable to a variety of conditions including moderate drought, air pollution and exposure. May struggle in very warm regions and in compacted soils.